Blake Mycoskie founded his one-for-one shoe company in his Venice, Calif., apartment in 2006. Now, 40 percent of all shoes given away are made in the countries where they are distributed; the company aids other causes and Mycoskie shrugs off critics. 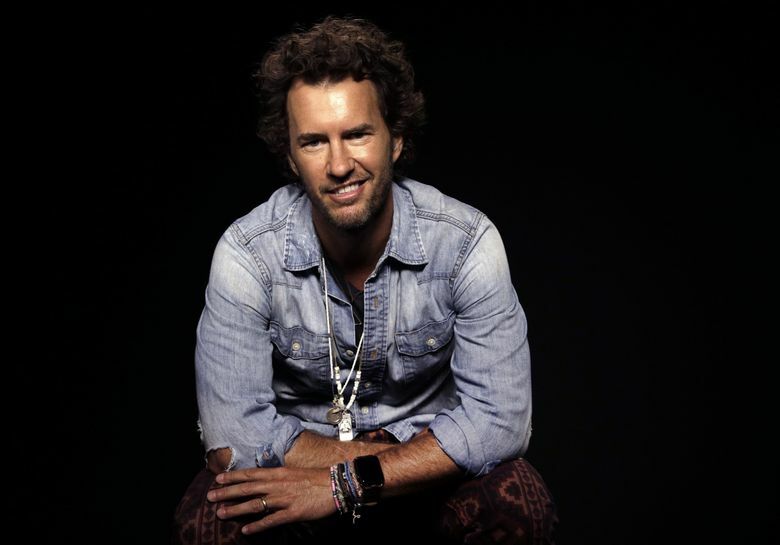 In Argentina, South Africa, Rwanda and elsewhere around the globe, there’s something that sticks out for Blake Mycoskie about the one-for-one shoe company, Toms, he started in his Venice, Calif., apartment 10 years ago. While the love of soccer remains, much has changed for Mycoskie since 2006, when he decided on the for-profit model of giving through shoes. For starters, he sold a 50 percent stake in his company to the private equity giant Bain Capital LLC nearly two years ago. On the personal side, he became a dad at precisely the same time, a huge motivator to give up some of the day-to-day responsibilities of Toms, now a force that includes a great variety of footwear, along with eyewear, bags and coffee. Mycoskie, who isn’t CEO but still has a hand in on many fronts, including design, would not disclose his net worth, but with expansion came more money for projects. In addition to shoes, the company’s other wares help provide clean water, eye surgeries and the availability of safer births around the world. With his personal wealth, estimated at $300 million when he sold to Bain, he and his wife help young, socially minded entrepreneurs like he was when he hit on shoes as his focus while watching kids go barefoot as he traveled in Argentina. There have been bumps along the way. Critics have been brutal. Now, about 40 percent of all shoes given away are made in the countries where they are distributed, he said. And the second kind of critic? Mycoskie acknowledged that as “chief shoe giver,” his preferred title, things were chaotic in the beginning. There was manufacturing, for one, and how to remain ethical and profitable, along with distribution challenges that once had a partner request money for a rented donkey to get the shoes where they needed to be. To date, Toms has given away about 60 million pairs of shoes. The company estimates that through cataract and other surgical procedures, the company has helped restore sight to about 400,000 people, along with providing more than 335,000 weeks of safe drinking water and supporting safe birth services to about 25,000 mothers. Toms would not share company valuation numbers but its worth at the time Bain bought in was estimated at $625 million. Once a simple slip-on doing double duty for girls and boys, Toms now makes women’s wedges — a top seller — high heels and ballet flats, along with brogues and athletic shoes. In the early years, Toms got a boost when celebrities started wearing the shoes peddled by the young and handsome Mycoskie. The challenge was to keep them coming. There were other bumps along the way. As a Christian businessman, Mycoskie was lambasted in 2014 for giving a speech at an event hosted by the conservative group Focus on the Family, itself criticized as openly anti-gay and anti-choice. Toms operates in more than 75 countries, including Syrian refugee camps in Jordan and China. Since starting the company, hundreds of others have jumped on the one-for-one bandwagon, from Pampers and Crocs to Subway and the Gap. Mycoskie remains the face of Toms, including on social media streams, where he chronicles his globe-trotting adventures. So who’s this Tom guy? There isn’t one. The company’s name, he said, stands for his vision from the beginning: Sell a pair of shoes today and give away a pair tomorrow. All of that wouldn’t fit on the first tags he put in shoes back in Argentina, so he shortened “tomorrow” to TOMS.